We have a large range of finishing options to suit every need. 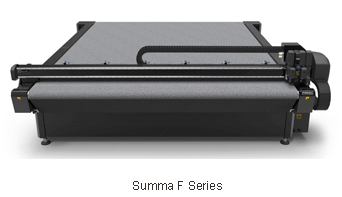 Summa’s Professional Flatbed Finishing System is an award-winning solution for producing innovative signage, displays, samples, packaging applications, and more. With an ever increasing arsenal tools and optional add-ons, this is a breakthrough cutting solution. The Mistral range of laminators are the highest quality large laminators and are imported direct from France by Artref. The cold laminator with heat assist upper roller has speeds from 0.3m to 6.2m / minute, as well as roll take up shaft for laminated documents, single side lamination, simultaneous lamination and adhesive mounting, and mounting onto boards up to 50mm thickness. The Royal Sovereign RSC-1650LS allows you to easily handle the largest prints, banners, posters and signs. 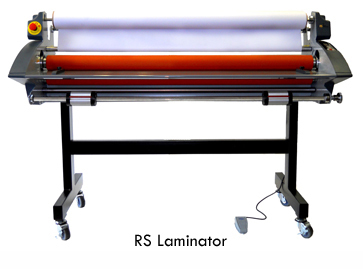 The RSC-1650LS is designed for use with pressure sensitive laminating films, mounting adhesives and backing films. This machine is incredibly easy to use and since there is no heat required the laminator is ready immediately to laminate and finish your documents in just minutes.